From a post-punk soaked late 1970s London, through the synthesizer era of the ’80s, the explosion of 1990s Britpop to the countless variations of today – indie pop has swept through the decades and vacuumed every odd bit and piece it found along the way. 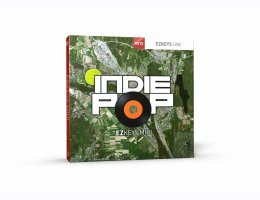 Inspired by some of the key artists of each era, this collection of EZkeys MIDI takes that very same route and comes out on the other end with a versatile set of song foundations that touch on pop, rock, soul, synth and psychedelia. Start writing!